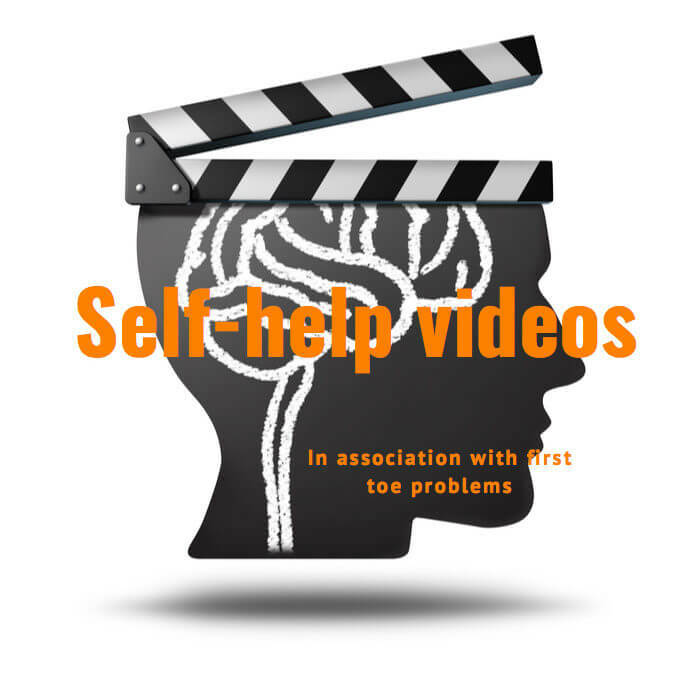 Welcome to some ‘New self-help films from ConsultingFootPain‘ and my recent downloadable self-help films now published on YouTube this April 2019. The films may not be ‘Hollywood standard’ but they do go alongside my new book, Bunion (Hallux Valgus) Behind the Scenes. My Patient Journeys and they are free to view without buying my book! 4: WHAT CAN I DO TO HELP MYSELF? UNDERSTANDING THE CONCEPT OF TREATMENT Hallux valgus(HV) and the bunion are part of a group of conditions traditionally treated by orthopaedic specialists. HV now comes under the broader label of musculoskeletal deformity (MSK deformity). Dictionaries have previously recorded the definition of podiatrist as someone who treated bunions, although in the UK less than 5% of podiatrists undertake surgery. If treatment means alleviating pain, the general dictionary definition is correct, but full correction of the deformity falls outside conservative care. 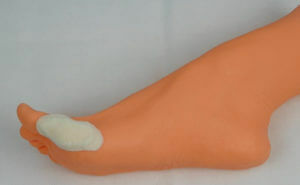 Aims and Actions Treatment may alleviate pain, slow down the deformity, prevent the side effects of deformity and pressure, or cure the problem by straightening the toe. It may seem axiomatic that cure equates to straightness, but this is not always the case as the end result may still retain a painful joint despite appearing normal. To read more, please look out for the publication of this book May-June 2019 from Amazon, published by Busypencilcase Communications Ltd.
Bunion (Hallux valgus) dressing pad. Also see my linked article posted in May 2019 for additional written guidance. Bunion surgery the best age? Thanks for reading ‘What can I do to help myself?’ written by David Tollafield and published by Busypencilcase Communications Ltd for ConsultingFootPain.